We want to alert our residential and commercial customers to several scams taking place in our area. Some scammers, posing as third-party energy suppliers, are sending fake utility bills via email to customers, asking them to click on an enclosed link. It is suspected that, by clicking the link, your computer could become infected with a virus or malware. For your protection, we ask that you pay your utility bill by going to our website, mailing us the hard copy of the remittance portion of your invoice or visiting one of our Customer Courtesy Centers. Do not open any email asking for payment unless it was sent by us or your respective third-party energy supplier. Scammers are also contacting customers and telling them that their electric service will be shut off for non-payment unless they purchase a reloadable debit card (Green Dot MoneyPak or Vanilla card). Victims are instructed to call a phone number and provide the card’s account number and unique serial number. Once the scammer obtains the card’s identifying information, the value is stolen. Commercial customers are also being told to use the same method of payment to have a new meter installed. The caller claims that the state has mandated these meter changes. This is not true. 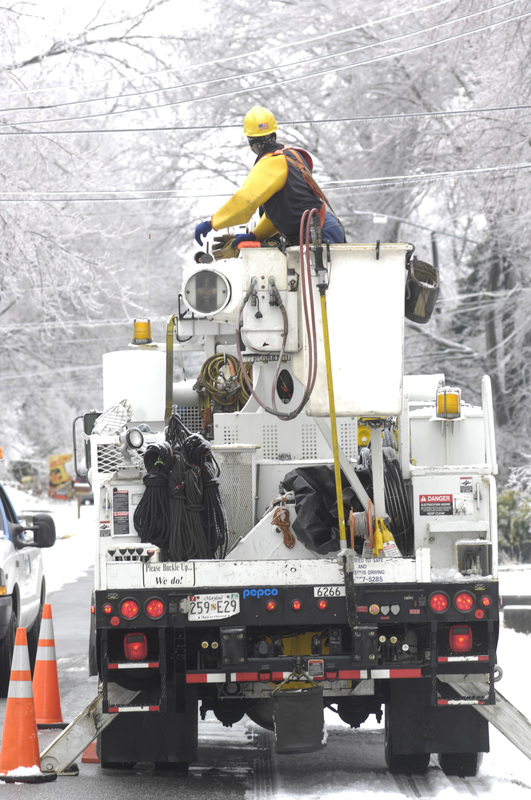 Many utility companies, including Pepco, contact customers in person or via phone for various reasons. If someone claims to represent our company or another entity, it is important that you verify the employee’s identification—especially if they are requesting immediate payment. When addressing past due accounts, we always offer multiple payment options. Our employees always carry an official company identification card. If proper identification cannot be produced when asked, you should notify the police or the company with whom the individual claims to be associated. Similarly, if someone calls claiming to represent a company, ask them to verify their identity and affiliation. If you have any doubt about the validity of a person claiming to represent Pepco, please call us immediately at 202-833-7500. Use these helpful tips to be ready when severe weather strikes in winter. For more safety tips, download and print our Storm Preparation Handbook. Please remember to report outages and downed wires by calling 1-877-737-2662, using the mobile app or by visiting our website. Follow the guidelines below to keep your home, family and guests safe this holiday season. Consider using LED lights, which use less energy than incandescent bulbs and emit less heat, making them safer to touch and to use on trees. If using a ladder to decorate, carry it parallel to the ground to prevent it coming into contact with power lines, and keep yourself and your equipment at least 10 feet from lines. Are you planning a home improvement job such as planting a tree, installing a fence or building a deck? Before you start any digging project, big or small, you need to call 811. Providing safety is our top priority. We want to remind our customers to call 811 a few days before they start any digging project. Failure to do so may result in injury, repair costs, fines and outages. An underground utility line is damaged every eight minutes because someone decided to dig without first calling 811, according to Common Ground Alliance data. By calling 811, we are notified of your intent to dig and can send somebody out to mark the locations of your underground lines. Always call a few days before you start to allow time for the request to be processed. For more information, visit our Call Before You Dig page. Before you go swimming, fishing or boating this Memorial Day Weekend, always remember that contact between water and electricity can be harmful or even fatal. Here are a few safety tips that you should keep in mind. Be careful when pulling your sailboat on the beach or when docking. Always look up for overhead power lines. Remove or lower antennas or flags from large cruise vessels and sailboat hulls before transporting your boat over land. Know the total height of your trailer and boat with and without the mast up. Be aware of signs that indicate underwater gas or electric utility lines. Don’t anchor your boat near underwater cables or pipelines. At low tide, clearances to underwater cables and pipelines could be inadequate for your vessel. When fishing, look behind you before you cast to make sure your hook will not get caught on a power line. Make sure all electrical equipment used for swimming pools (even the cleaning equipment) is grounded. For more safety tips, visit our Safety Center page. Visit our Safety Center page for more tips. 2. Do not let your child touch wires lying on the ground, or inside the house. Visit our Safety Center page for more safety tips.